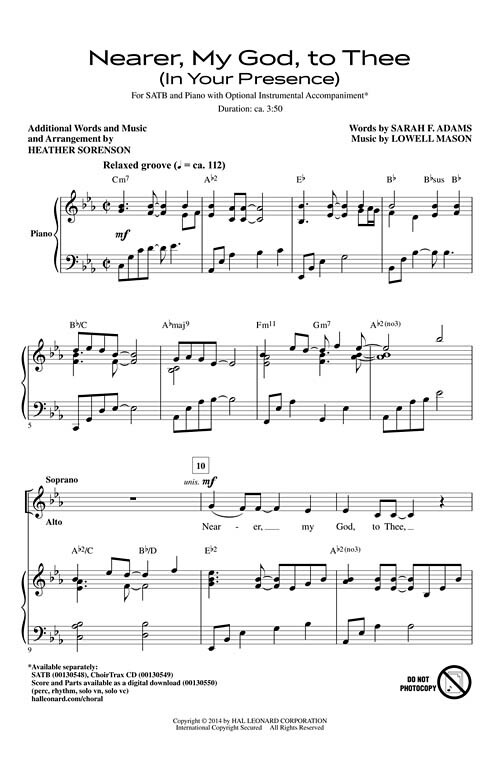 Uses: General, Lent, Memorial, Commitment, Blended Worship, Praise Team Scripture: Genesis 28:11-12 The combination of a treasured hymn and newly composed contemporary music is undeniably effective, and Heather Sorenson's latest offering is no exception! An original chorus amplifies the hymn's timeless message of intimacy with God and allows a new generation of worshippers to appreciate this sacred gem. Solid piano writing makes this anthem great with or without the instrumental option. Score and Parts (perc, rhythm, solo vn, solo vc) available as a digital download.